If you pre-pay, then Yandex must receive your payment no later than one working day before impressions launch. If you place ads using credit, then you must issue a credit request no later than one working day before impressions launch. Otherwise your reservation will be canceled automatically. To pay for lines using credit, you need to issue a credit request (which is called "issuing an invoice" in the interface). You can issue a credit request if the line status is “Flight”. To start "invoicing", check the box next to the line that you want to pay for. Click Actions and select Issue invoice (which means "go to payment options") in the menu that appears. Enter your account details. 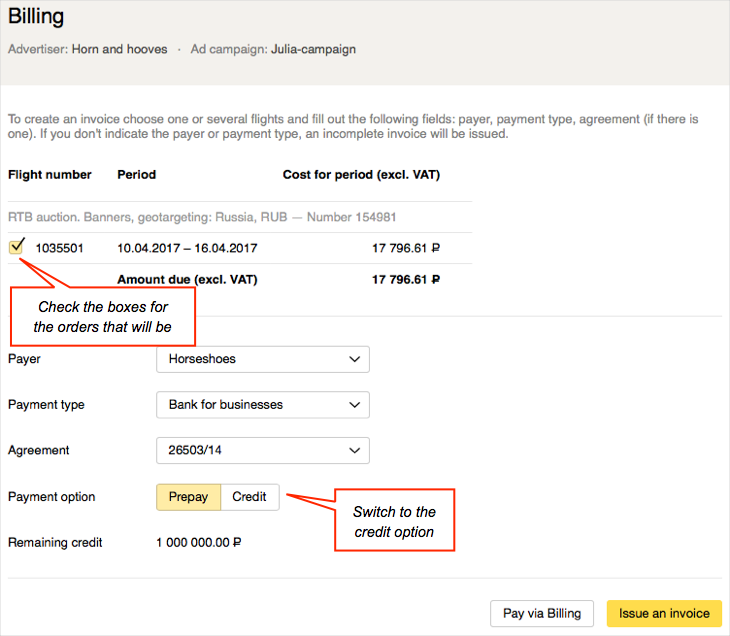 If the contract between your agency and Yandex allows for payments to be made after services are rendered, you can select the Credit payment option. 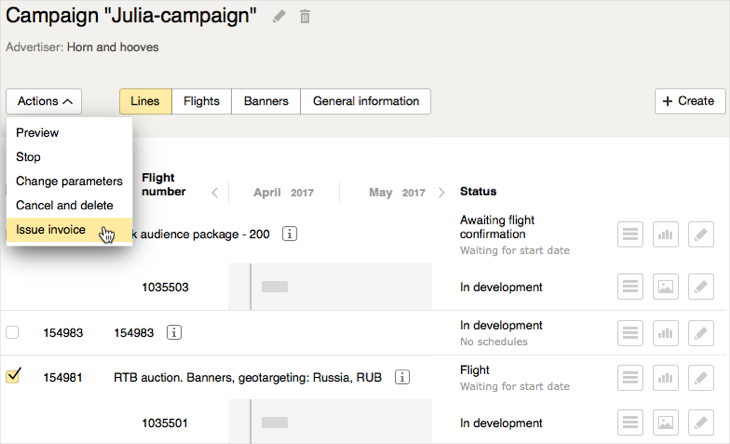 To send a request for an "invoice" to your main manager at Yandex, click Issue invoice. The manager will prepare an "invoice" and send it to you.